We are very quickly discovering that babies are expensive, yes, even babies that aren’t born yet – this is especially the case when it’s your first one! We have tried to be as resourceful as possible as we deck out our nursery, so you could imagine how excited I was when I found out our family friend was parting with these drawers!! Yes they needed a bit of work, OK, a lot of work, but they were Kauri, too good to go to the dump, and I had a vision. The middle drawer wouldn’t close, so hubby got busy with the planer and also made a new runner and soon enough it was sorted. We then removed the old brass handles and filled all the holes (seems this set of drawers has had a lot of different handles over it’s lifetime!). 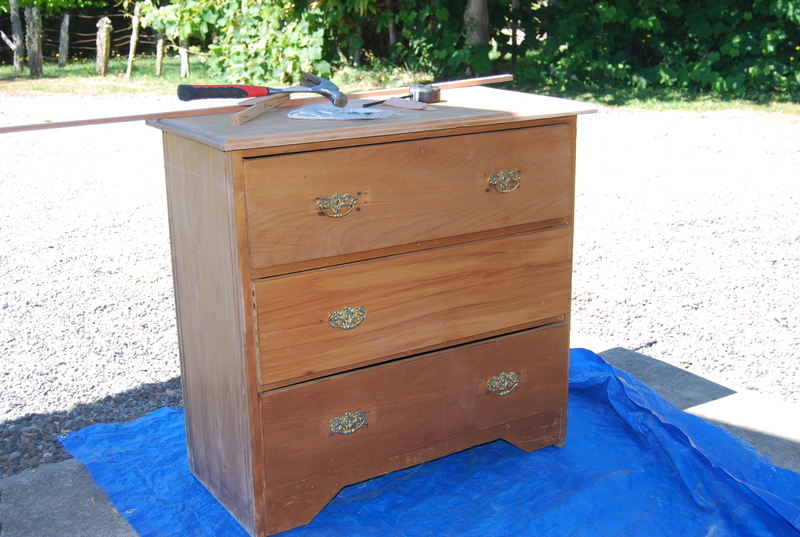 I then sanded them, gave them a couple of coats of paint (you may cringe at the thought of me painting over the beautiful Kauri wood, but believe me, it really wasn’t in good condition), and then to finish them off we screwed in some lovely new handles and….voilá! 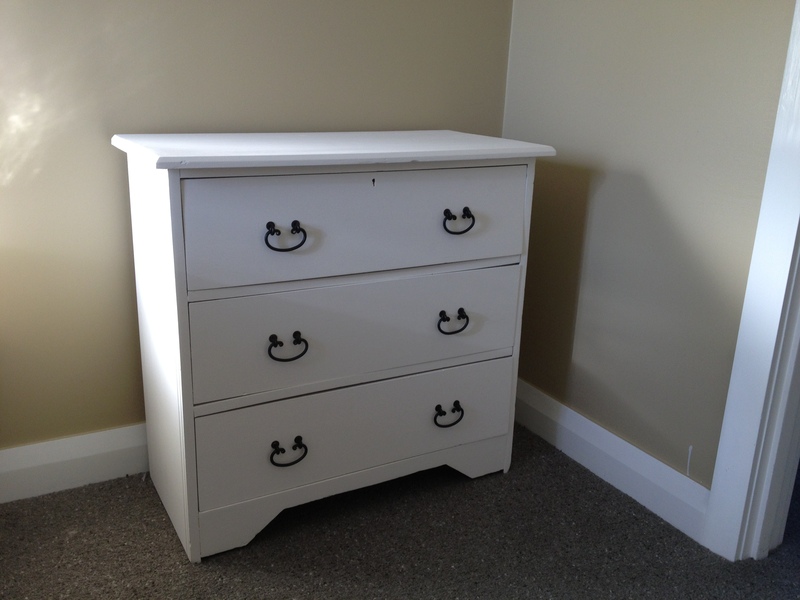 Now they look like a whole new set of drawers, well, drawers with a bit of character, but nevertheless they have a new lease of life 🙂 I’m going to pop a changing mattress on top of them and they will double as a changing table as they’re just the right size and height. PS: I promise to put a photo up of the complete nursery SOON!